After 3 Ubuntu upgrades on my primary workhorse (a Lenovo Thinkpad z61t) I decided it was time for a fresh install to remove all the cruft. In the past I’ve always used 32 bit Ubuntu (even though my laptop is a 64 bit Core 2 duo) because of issues with the Flash plugin, Java plugin, and Skype. After backing up my files I bit the bullet and did a fresh install of 64 bit Ubuntu Intrepid Ibex and in the process also decided to give XFS a shot instead of EXT3 as my primary filesystem. October 4th, 2007 was my last day as the VP of Technology at GreatSchools when I handed the reigns over to Chris Pickslay so that Susan, Sequoia, and I could take off on our sailboat to Mexico for 6-12 months. It was a great 4 years leading the tech team at GreatSchools and I was sad to leave such a terrific job and group of people but both Susan and I were really feeling the itch for some adventure under sail. Our plan was to explore the Baja peninsula, mainland Mexico, and of course the lovely Sea of Cortez. Working at GreatSchools we do a lot of CSS work and we have a number of CSS books on our library shelf. 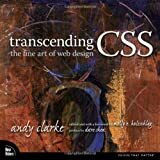 However, last month we picked up a copy of Transcending CSS and it’s far and away the most enlightening book on CSS I’ve read. We’re already changing the way we do our CSS for the better as a result. for publishing little snippets of text that should be easily editable. 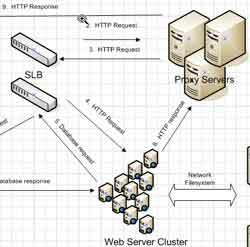 Hello lazy web, I’m looking for some advice on caching proxy servers and thought you might have some good pointers! I’m thrilled that GreatSchools has won the Webby People’s Voice Award for best Family/Parenting site. We’ve been in the nominations before but I think continued growth and brand awareness through a largely redesigned site helped push us over the top this year. Back at the end of 2005 I wrote a short post titled Cloaking, no need to be ashamed and now in 2007 even more big sites are practicing some form of search engine crawler targeted cloaking. Yet still most SEO’s will give you a blanket answer and tell you to avoid cloaking so you don’t get delisted. I take a more pragmatic view and experience has taught me that certain forms of cloaking can be good! My good friends in the east bay have just debuted their new Ruby on Rails based site Bandega :: never miss a show again! If you’re a San Francisco Bay Area resident that loves indie rock and wants to keep track of your favorite bands swing by Bandega and check them out! Update 2/11/07: Just to clarify, this plugin won’t keep your Rails site running on Dreamhost if the sum of all your running processes exceeds 200MB (which is when their process monitor kills your processes). Run ps aux and sum the VSZ column and then divide by 1024. If you’re pushing the limit and are only running one Rails site you may want to look at another provider. If you’re running multiple Rails sites, run each site under a different user (one account can create many users). Per Thomas Aylott’s suggestion on my previous post Keeping Rails Running at Dreamhost Part 2 I’ve decided to release my Dreamhost signal handling code as a Rails plugin. I’m using it on a Rails 1.2.1 site and a Rails 1.1.6 site.